Whether you are remodeling an existing kitchen or designing one from the ground up, you eventually will need to make a decision about countertops. Kitchen countertops are important to your room for both functional and aesthetic reasons. There are many options to choose from, each with its own benefits. Here is a look at three popular countertop materials and what each does for your kitchen. So many varieties and patterns of granite exist that this option is a favorite for anyone who wants a unique look. Along with a great look, granite kitchen countertops are very easy to clean. A mixture of mild dish detergent and water is all you need to get the job done. 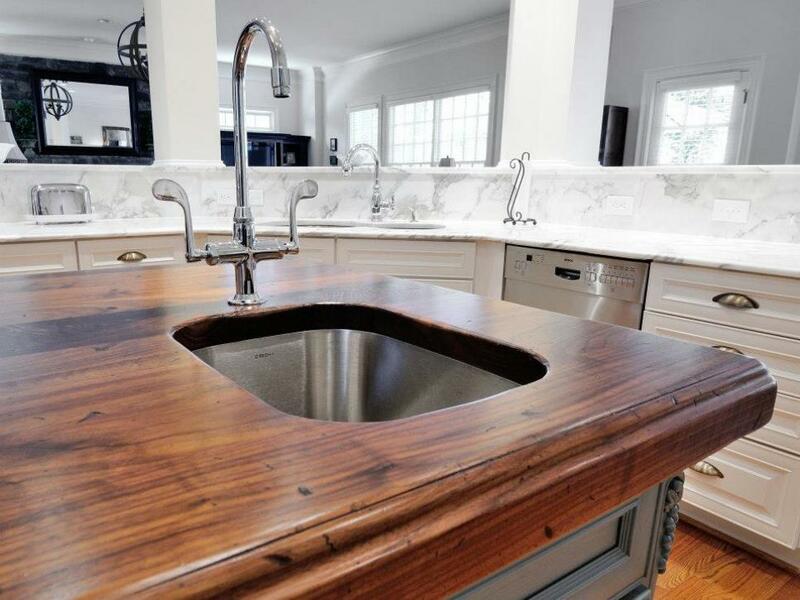 Make sure to dry your countertop thoroughly to prevent water stains. Laminate is often considered a low-cost alternative for kitchen countertops. Multiple colors and patterns are available, some that are impossible in mineral-based materials. Laminate is a good option if, for example, you want a bright red or green counter. When cleaning laminate, the most important thing is to make sure your water, soap or vinegar do not seep into seams. Similar to granite, quartz countertops comes in multiple patterns and colors. One appeal of quartz is that it does not need to be sealed, initially or ever. Quartz is also heat resistant for short periods, but should not be treated as heatproof. You will still need pot holders and other protective kitchen items if you switch to a quartz countertop. Choosing the material of your kitchen countertops comes down to the look you want, the money you have, and the upkeep you expect. Granite, laminate and marble are just three options for remodeling your countertops. With professional help, you can learn everything you need to know about different materials, their pros and cons, and what option is best for you.